Project and information management is a key part of architecture. It may appear to have little connection with creating inspiring designs and ideas, but it is one of the most valuable processes in both the timely realisation of great buildings and the sustainable existence of an architecture practice. It’s even more important now that projects are becoming more complex, and developers and builders wield more clout than they once did, writes Peter Saladino. Thankfully, there are a variety of project management tools that can greatly improve the efficiencies and day-to-day duties of a project. “Everything we do on our systems has this underlying focus – to make time for more architecture and less ‘clerkitecture’,” says Sally Brincat, senior associate at Designinc, Melbourne. No architect wants to spend more time administration they need to – that’s not why architects become architects. Choosing the right project management, or a variety of tools can be an arduous process because of the time and resources it takes to find, test and implement a new platform. Among the plethora of task and project management tools available, many are ill-suited to the nuances of architecture and the complexities of bringing a building to life. Even with the advice of professional software experts and the experiences of trusted project managers, it’s never one-size-fits-all – or even one size fits most. If a perfect solution existed, every architect would be using it by now. That said, some Australian architects have found systems that work for them. “Coincraft is tailored more to the phases of architectural work, so it’s very straightforward,” says Qianyi Lim, director at Sibling in Sydney. A carefully considered and properly implemented solution can lift a huge burden off every employee of a firm. Good project management tools can enhance collaboration and communication, remove routine inefficiencies, provide data that can uncover valuable insights, up billable hours and, ultimately, see a design take its place on the landscape as it was intended… on time, on budget. Here are some suggestions for project management software tools that can aid efficiency and organisation in architecture firms larger than a handful of people. None are perfect, but some may be perfect enough. Microsoft Excel is a powerful program that is often used to run architecture firms (and manage household budgets, and much more). It’s been a standard tool for getting anything done since time immemorial and is widely understood by anyone who’s ever clicked a mouse. Excel’s ability to support all kinds of reporting, accounting and tracking tasks is astounding, but as projects become more complex the spreadsheets do too. All of a sudden, a simple task and budget-tracking sheet is now a jungle of complex equations and graphs that refuses to integrate with any accounting program… or a person’s sanity! Microsoft Project is an old school beast, but it still one of the most efficient and powerful project management tools available. Like Excel, it’s widely known and used across almost every industry. It is arguably the first PM tool anyone leans toward – it’s also still used by architecture firms for specific projects. Project features include the classic Microsoft hallmark of built-in templates, charts and reporting, which are customisable and based on ‘industry best’ practices – which industry, they don’t tell you. Pre-set templates are great for getting started, but Project lacks a specific architectural fit. Also, there is personalised support offered through more-niche dedicated project and information management platforms, which will work with a practice to provide a better-fitting solution. With Office365 aligning to the current trend of software-as-a-service (SaaS) delivery, Project is now available online on Windows devices when needed. Coincraft was created by an Australian architecture graduate who noticed a severe absence of project information management platforms made specifically for architects. With a lightweight and modern interface, Coincraft’s virtue is its project visualisations, which are updated live as figures are entered or adjusted. It provides functionality for resource scheduling, revenue forecasting, invoicing and a significant level of project and staff reporting to help uncover data-led insights. Coincraft integrates with widely used accounting software like Xero and QuickBooks, as well as architecture-specific programs like WorkflowMax, Harvest and ArchiOffice. Deltek purchased prominent project information management platform Union Square in 2016 and seems to have purchased similar programs in other project-based industries in an effort to be a leading PM solutions provider. It appears to have reached its goal, as it offers a wide range of software-based management tools with wide-reaching applications. Because of this solutions-oriented approach, Deltek will work with an architecture practice to understand and optimise workflow to make best use of Deltek’s platform. A tailored solution can connect the financial management of projects with daily practice management, including resourcing needs, leave and absences, fee management and invoicing, project data, drawing management and issuing all in one place. Mobile apps help with recording hours and expenses in the field. 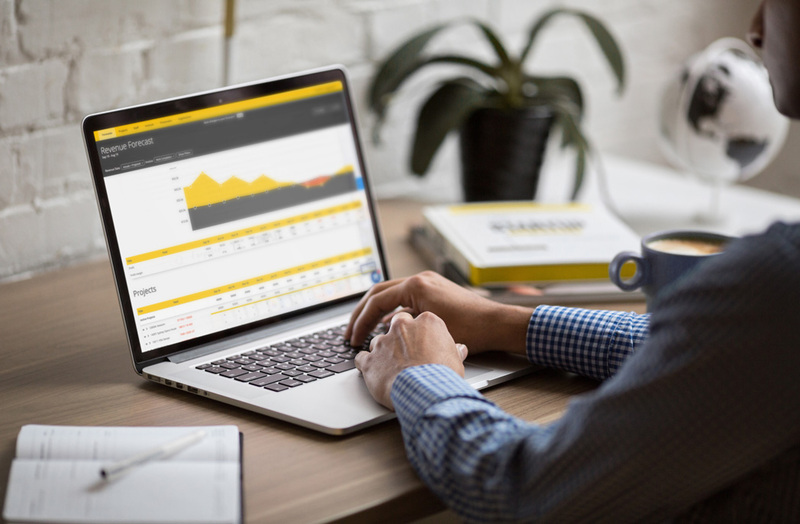 WorkflowMax is an all-in-one management program designed for architecture firms – and now owned by Xero, a global accounting software leader. Aside from its easy invoicing and accounting functionality (thanks to Xero), it offers customer relationship management (CRM), quoting, time tracking, document management, purchase orders and reporting – all of which are designed to provide for architecture practices of all sizes. It has some mobile app functionality to assist with recording and adjusting data on the go, too. Now delivered online, the new SaaS incarnation of ArchiOffice is easily the hardest-to-research software offering on the internet. Specifically designed for architects, this is a total business management software platform that offers project management, time-tracking, invoicing, reporting and a plethora of office/resource management tools through a single system, it comes with a host of templates across contracts and reports to help get started, as well as integration with common applications like QuickBooks, Outlook, Apple Calendar and more. There’s also ArchiOffice Mobile with limited functionality for smartphones. Synergy is a cloud-based web application that works on any device via browser. This means architects can get away from their desks without losing touch with their project information. The software focuses project delivery in three areas: project management, project collaboration and project accounting. Its collaboration aspect happens in what it calls project portals — these allow architecture practices to invite third-parties to view documents and images, download transmittals, and chat with the project team in the project feed. Perfection doesn’t exist in project and information management tools for architects. Many factors will depend on practice and project management styles and processes – some of which may need to be reviewed and overhauled. Integrating a new tool means reviewing existing tools and working out where new efficiencies can be achieved. If the need (and budget) exists, a customised solution that integrates with existing accounting or design software can create a better match. Some software providers, especially ones regularly working to expand their public offering, will work towards a tailored solution.